Addressing new legislation and regulations, improved risk management, greater supply chain management visibility and quality control, an ability to standardize and centralize…the list of advantages of a next generation labeling solution grows by the month. 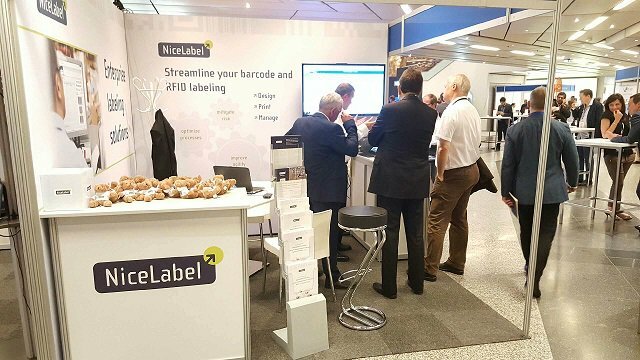 Sure enough, NiceLabel’s stand at June’s SAPinsider conference in Vienna* was ‘mobbed’. The interest came not only from supply chain professionals but from IT people across the enterprise spectrum including those working in smart manufacturing, QA and regulatory affairs. All use SAP software but many are just beginning to recognize how beneficial a labeling system can be. I had the privilege to present on how to overcome various challenges, such as adherence to complex regulatory compliance and fragmented labeling systems by leveraging SAP. By using a unified and integrated label management system, businesses can modernize their labeling processes in both regulated and non-regulated industries and comply with complex regulatory requirements such as the ongoing UDI (unique device identification) legislation in the United States (and its equivalent worldwide), with less effort. In today’s digitized economy, companies are increasingly using technology platforms and applications that enable them to improve efficiency, visibility and collaboration across their extended supply chains. To empower business users, increase agility and reach zero tolerance to unplanned downtime, they are aiming for legacy system modernization, label template consolidation, and predictive maintenance as well as for IT portfolio rationalization. Using SAP as a single source of truth to design, integrate, and develop an integrated label management system based on a seamless SAP ABAP package, a native, interoperable technology inside SAP, companies can streamline their entire label processes, increase consistency and accuracy along their shop-floors, reduce costs enterprise-wide, and save valuable time. NiceLabel’s enterprise label management solution enables companies to migrate risk, optimize process and make their supply chain more agile, responsive and competitive. One of our major clients attended the presentation and answered questions from delegates, underlining some clear advantages of NiceLabel’s solutions, such as legacy system modernization, label template consolidation, integration with business systems for ‘single source of truth’ data and IT portfolio rationalization. As elsewhere in supply chain management, companies can find themselves at risk if they do not fully understand and control their extended supply chain. A global, standardized labeling solution can help to achieve this goal and mitigate risks. Our solutions offer answers to questions of control, authorization, approvals, master data analytics and supply chain management.